Led day-to-day operations for commercial engagements in the Consumer Research, Human Resources, Call Center, and Insurance industries along with completion of scientific validation studies. 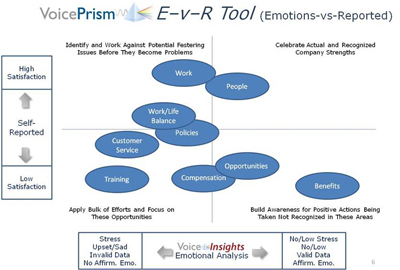 Developed technology products such as Voice Insights, Intelivoice IVR (interactive voice response), and Voice Visualiser, to provide emotional output information. Data is used to improve sales agents' upsell percentages, enhance market research feedback, improve customer service, reduce fraud, and a host of other applications. Click here to see VoicePrism video (5 min).